Happy Friday! I am starting a new series on the blog called the Friday Five. A couple Friday's a month I will review five products on the blog anything from skincare, clothing, health products, to hotels. So I will start this Friday with five products that I think you will enjoy! We are all looking for a great scrub to remedy many of our skincare problems. Well this Arabica Coffee Scrub (found here) combats many of these issues. This scrub is packed with antioxidants, which helps fight against aging skin, such as wrinkles and sun spots. This scrub is gentle enough to use on your face. The caffeine from he coffee reduces puffy eyes and lightens dark circles under eyes and helps eliminate acne and acne scars. I love this product because it is 100% natural, animal cruelty-free, and a reasonable price point. Not only does it moisturize the skin with coconut oil it helps diminish cellulite. Caffeine also tightens the skin and reduces the appearance of cellulite when used regularly. Coffee scrub is successful is helping remove stretch marks and spider veins. The sea salt in the scrub removes dirt and dead skin for a youthful appearance. I wanted to use this scrub because I suffer from eczema and coffee scrubs target the dry skin spots and help keep moisture in. 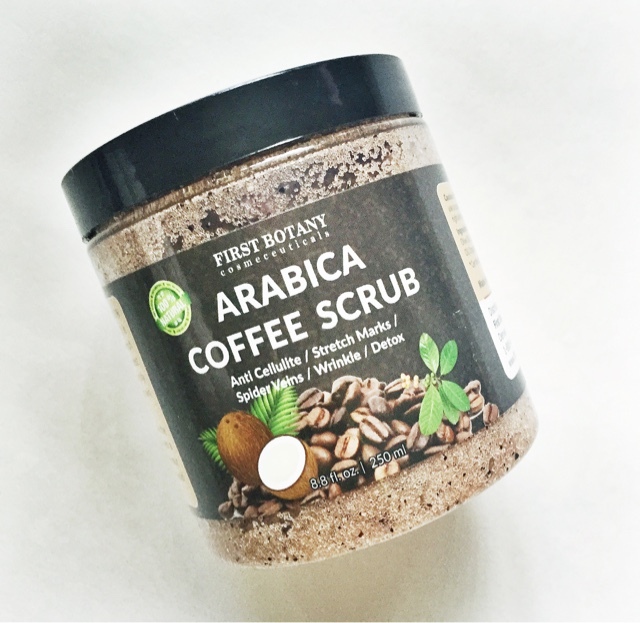 I would definitely recommend Arabica Coffee Scrub (found here). I receive many products to review for myself and to promote to other women. So I decided I needed to review items that interest men. 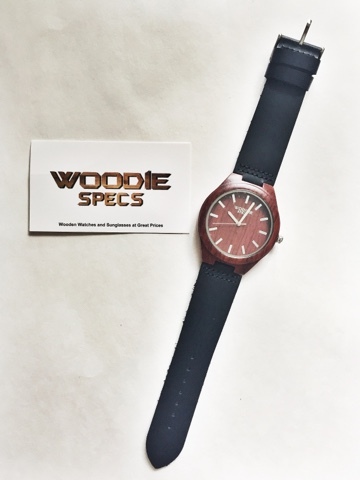 This watch from Woodie Spec is a stunner (found here, similar here and here). 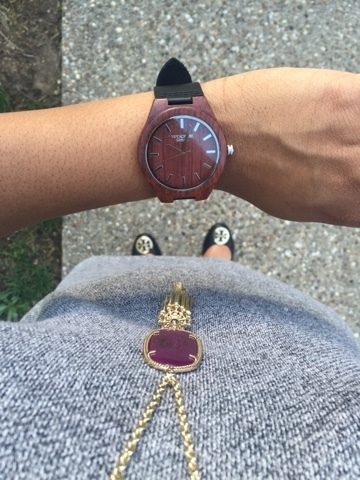 I love the two tone color, the natural wood and black leather compliment each other. Very stylish and hip. Any man would love this accessory. It is masculine enough but yet a women could appreciate it and maybe want to sport it herself. I would totally rock it! No two watches are alike because no two pieces of wood are alike. A part of every purchase from Woodie Spec goes toward children in need through World Vision. I would definitely recommend adding this watch to your collect or giving it as a gift to a man in your life. So if you are like me you misplace things often and it takes you forever to find them. I have found a solution. 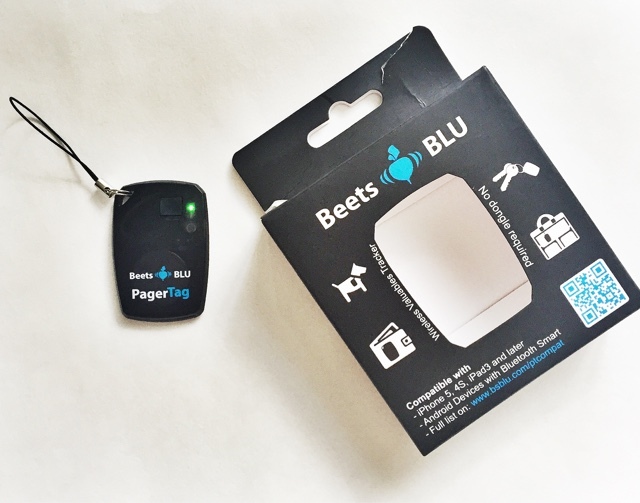 This Beets BLU key finder (which can be found here, similar here) prevents the loss of many of your values such as your phone, keys or even wallet. This thing is a lifesaver. Basically you attach it to what you seem to misplace the most. For me it is my keys, so I would attach it to my key ring. Using an app on your smartphone the pager tag that is attached to your missing item produces an alarm to alert you to where the item is. This simple genius idea is definitely a timesaver and a lifesaver. The setup process is easy to install and the key finder is easy to use. This item is for you if you need a little help keep up with things. I have been working on my health and fitness a lot lately. Lets face it the older we get the more aware of our health, weight, and lifestyle we are. I have decided to use many products to help me along in my journey. One is the Beets Blu heart rate monitor (found here similar one here). This heart rate monitor is compatible with smart phones. It syncs easily with iPhones and Androids, and enhances many of your fitness and health apps, such as, MapMyRun, RunKeeper, Digifit and many more. It is also very easy to use. The heart rate monitor is attached to an adjustment belt you wear around your chest while exercising. The strap is comfortable and lightweight. It delivers an accurate heart rate though ECG technology. 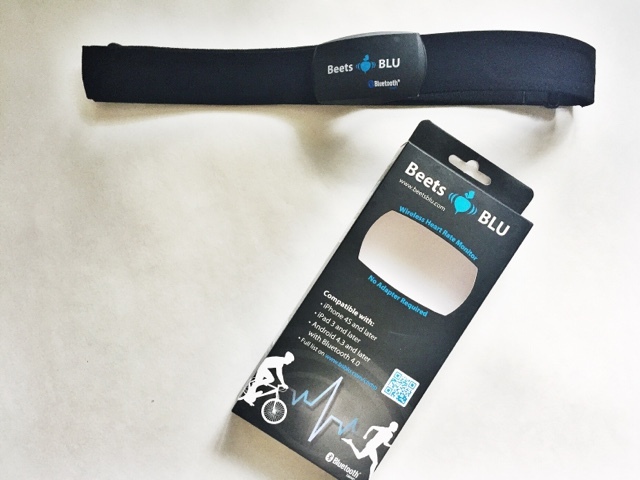 Beets Blu monitor helps you track activity with a cardio focus within your target heart rate, as well as tailor your workouts to age a skill level. Having a heart rate monitor with my workouts makes a big difference in my exercise routine because I can track my performance and know when I have made progress. A good scale is another thing I have added to my health and fitness journey. I like the EatSmart Precision 550 Extra Wide Digital Scale (found here similar here). Not only is it stainless steel it is wide and sturdy, 15''x13'', so the weight of your whole body is supported. 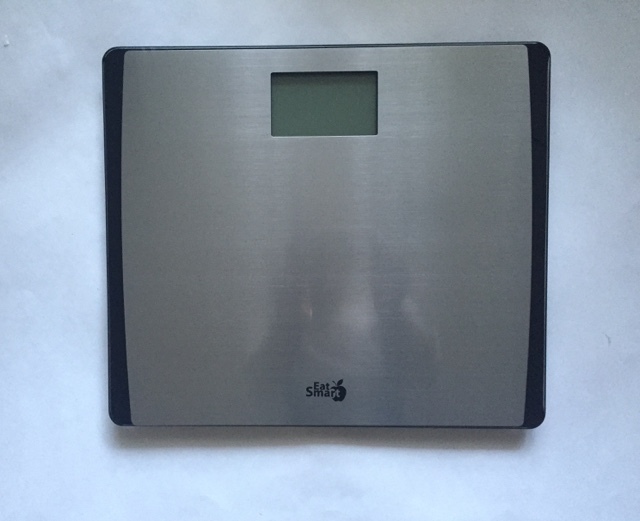 This scale has four sensors to ensure accurate measurements. It has a large screen with blue LCD backlight which is easy to see. But the best part is that it beeps three time when your weight is registered so that you can step off and view the scale. It also has "Step-On" technology that allows you to get your weight instantly. The scales weight capacity is 550 lbs. which is the highest on the market (.2 lbs increments) and it is easily switched from lbs/kg. It runs off 3 AAA batteries (which are included). The EatSmart scale has a 100% money back guarantee and a two-year warranty. I would definitely recommend this scale. I am enjoying mine and know that it will help me get to my health and fitness goals.